It seems crazy with the amount of technology we have this day in age that we still have problems like poverty and hunger. We can afford endless wars and corporate tax cuts but we can afford to feed our senior citizens or properly take care of our veterans. Many of us have stopped looking to governments for help or solutions. Many people have decided that they are going to take care of themselves and those around them as best they can all on their own. 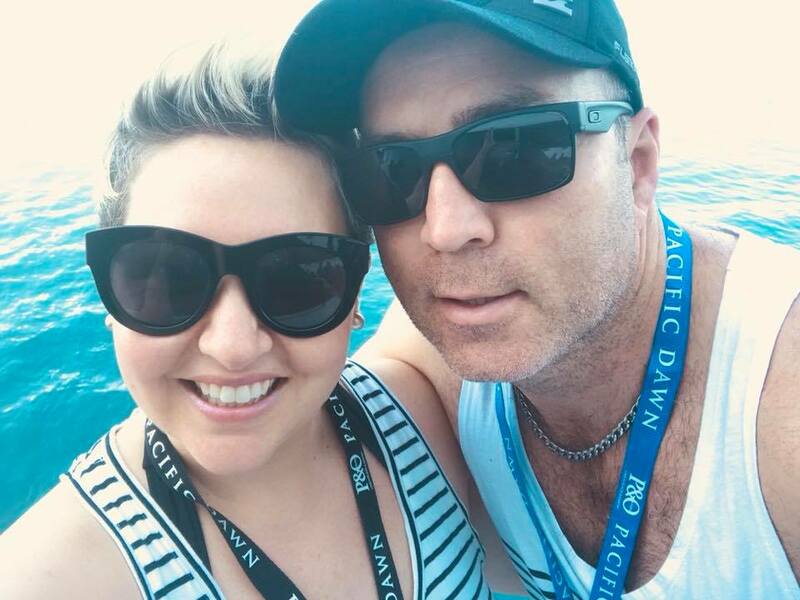 Dave Love is one of those guys. 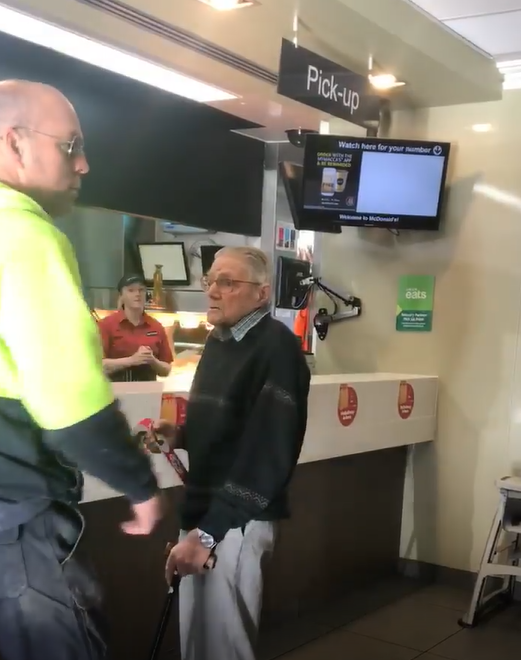 When the Aussie builder saw a pensioner struggle to count his money and pay for a McDonald’s lunch, he didn’t hesitate for a second to jump in. 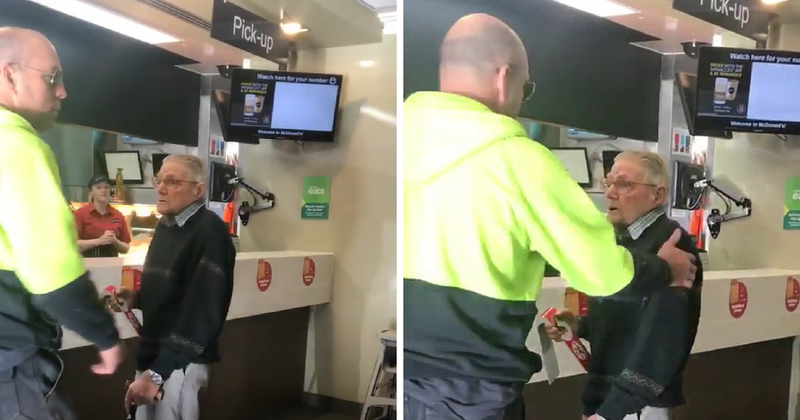 He immediately said he was going to pay for the meal along with his own coffee. 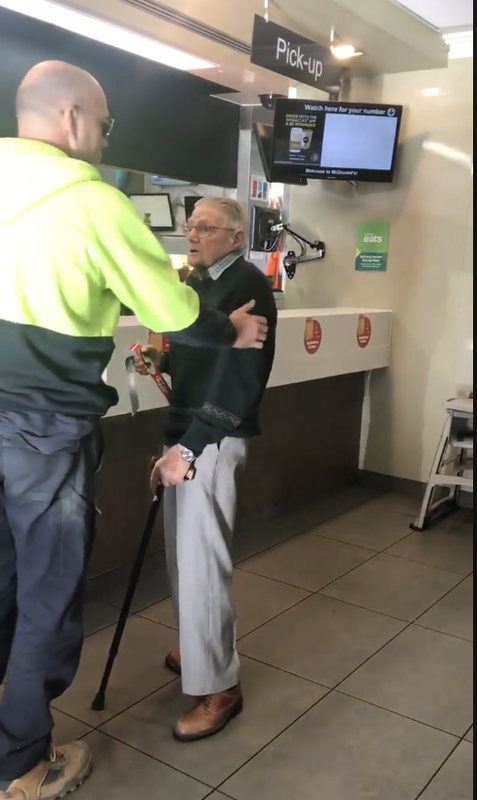 Not only did he pay for the man’s breakfast but Love also gave him $20 for his next meal. 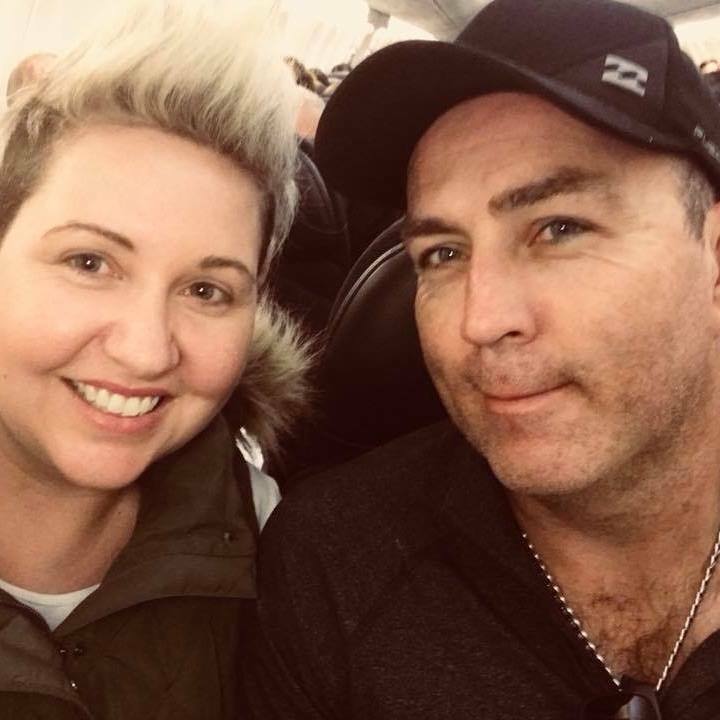 It was a beautiful act of kindness that was captured on video by Love’s partner Melanie Langley. She posted the video on Facebook where it ended up going viral. “STOP SCROLLING, this WILL make your day, I was in tears. This man melts my heart. 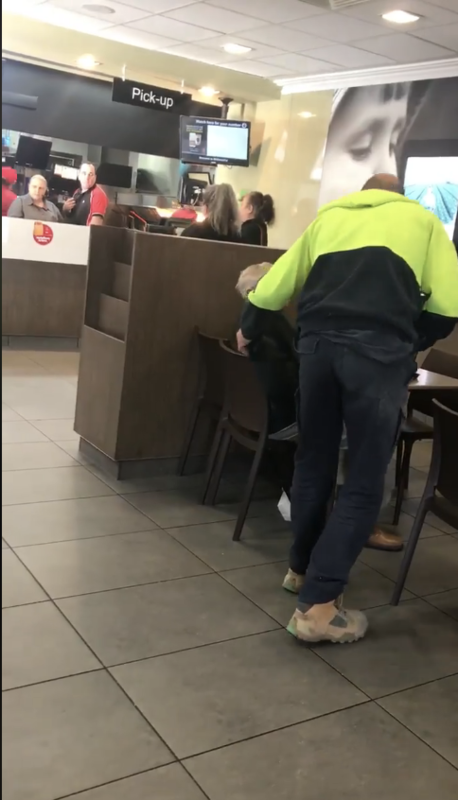 I had no idea what he was up to as he ordered his morning coffee but quickly realized and couldn’t not video this incredible act of kindness,” she wrote in the video’s caption. 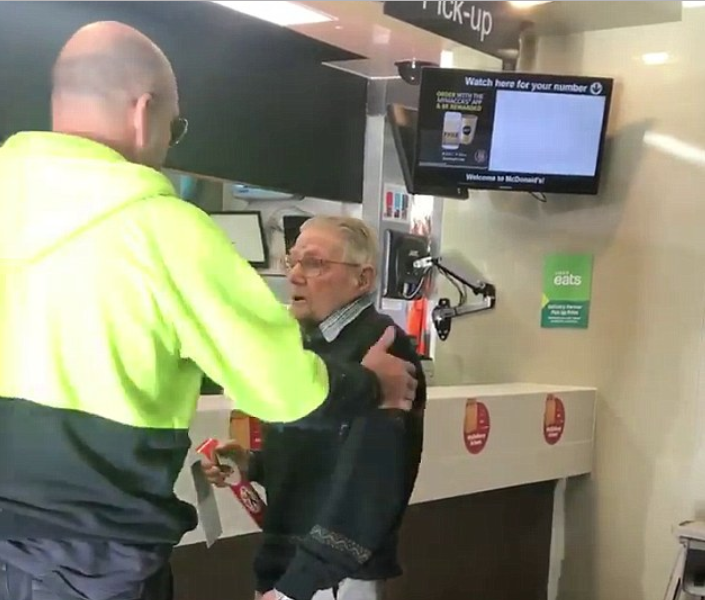 You could tell that the senior man’s heart was touched by Love’s selfless act. He initially refused to accept Love’s gesture. But Love insisted and told him to put his money back in his pocket. “Thank you very much…you’re a gentleman, thank you,” he says. “There’s still some nice people here,” the elderly man said. “I’m helping the old fella out,” Love tells Langley, not knowing that she’s filming. “He’s down on his 20 bucks. Langley told Love that he was amazing, but Love didn’t really think so. “It is what it is, honey, it’s life,” he said. The video was shared 57,000 times and viewed more than 4 million times. You can watch it below.